This just came out this week. For the 13th consecutive year, RE/MAX sold more real estate than any competitor. 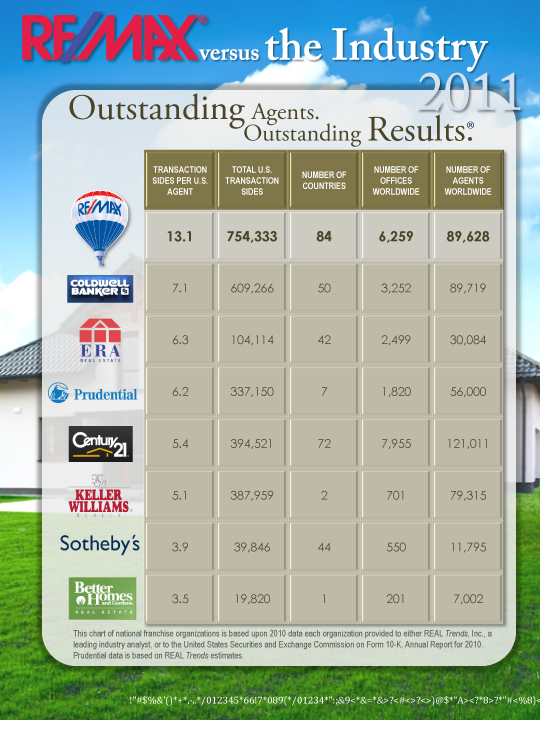 And RE/MAX agents average more transaction sides than agents with any other national brand … in most cases twice as many. Congratulations RE/MAX agents on being a part of the world’s most productive real estate sales force.